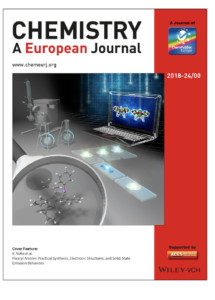 論文：Peraryl Arsoles: Practical Synthesis, Electronic Structures, and Solid‐State Emission Behaviors”, Hiroaki Imoto, Aya Urushizaki, Ikuo Kawashima, Kensuke Naka, Chem. Eur. J., 2018, 23, 8058-8065.